The foam roller is often used for self massage, but this versatile gem can also be used to improve our balance, flexibility and stability. 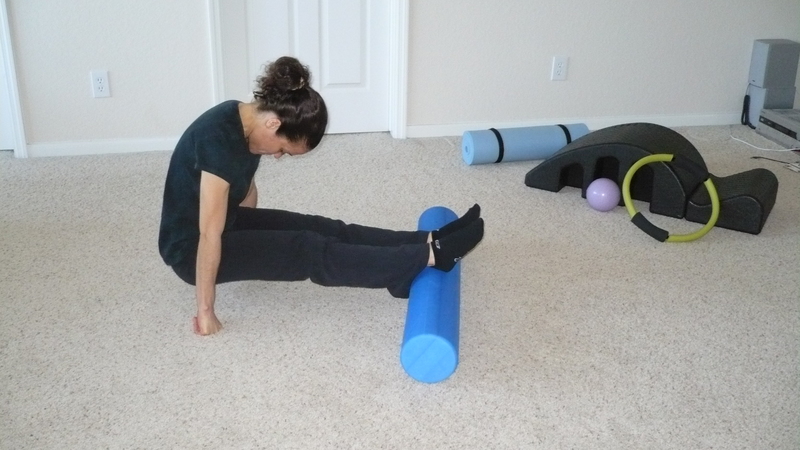 I incorporate the foam roller in my Pilates mat sessions for variety and it helps to keep the sessions fun and fresh. The Swan Lie prone with roller on the floor above your head. Place your hands on the outer edge of the roller, thumbs pointing up. Engage the abdominals and slide your blades towards your hips and lift your upper body into extension rolling the foam roller towards you. 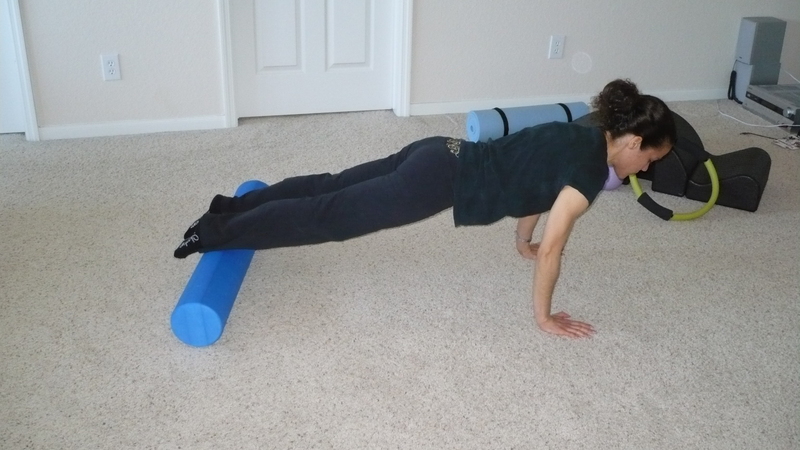 Exhale and slowly lower your torso to the mat while rolling the roller away. Perform 6 times. A variation to the above exercise is to perform the Scissors: With your upper body lifted or extended position, lift your legs off the mat a few inches and open and close your legs 6-8 times, maintaining a stable pelvis. Tendon Stretch (this exercise is typically performed on the Reformer.) Sit with the roller under your calf and your arms by your side with your hands in a fist and placed on the mat. Inhale and press your hands into the mat and lift your hips off the floor. Exhale and pull your hips back through your hands, lowering your head to your knees. Inhale and return to the start. Perform 10 times. Leg Pull Down Place your hands on the mat with your shoulders above your wrists. Place the roller under your ankles. 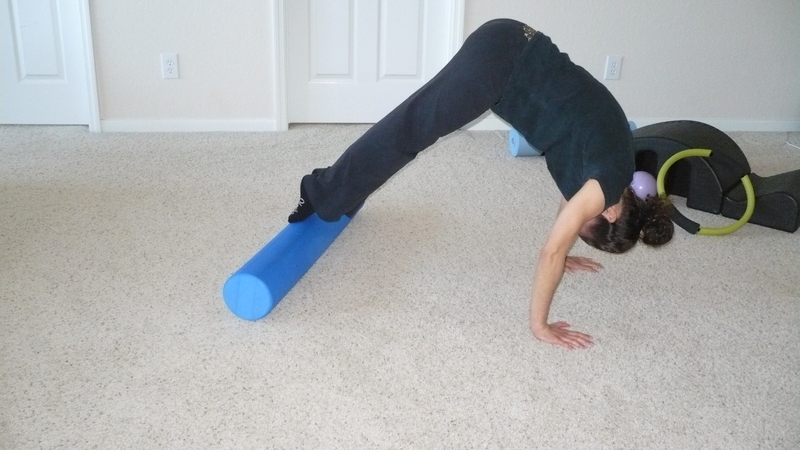 Inhale and lift one foot off the roller and pulse twice towards the ceiling. Exhale and lower your leg and switch sides. Perform 5 times alternating sides.